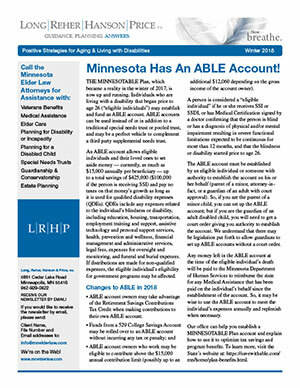 • Minnesota Has An ABLE Account! 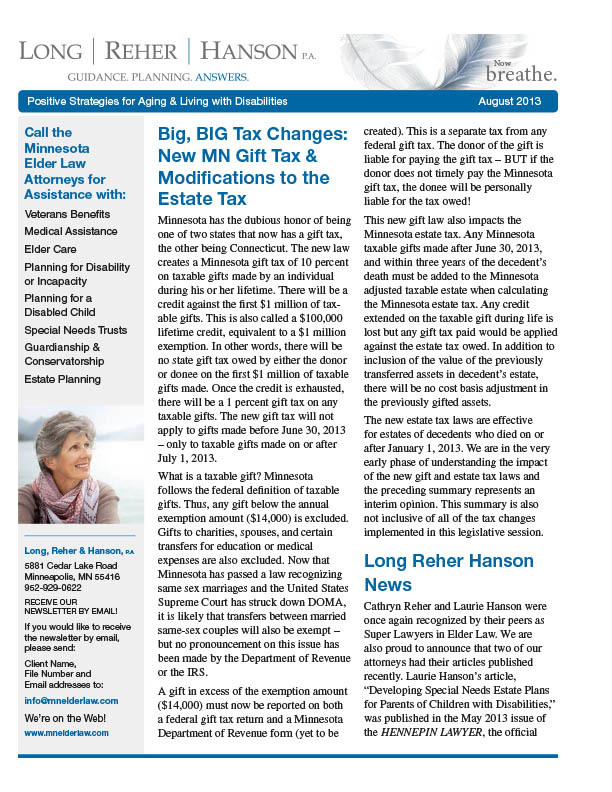 • Minnesota’s Estate Tax Exemption Increases to $2.1 Million … Maybe? 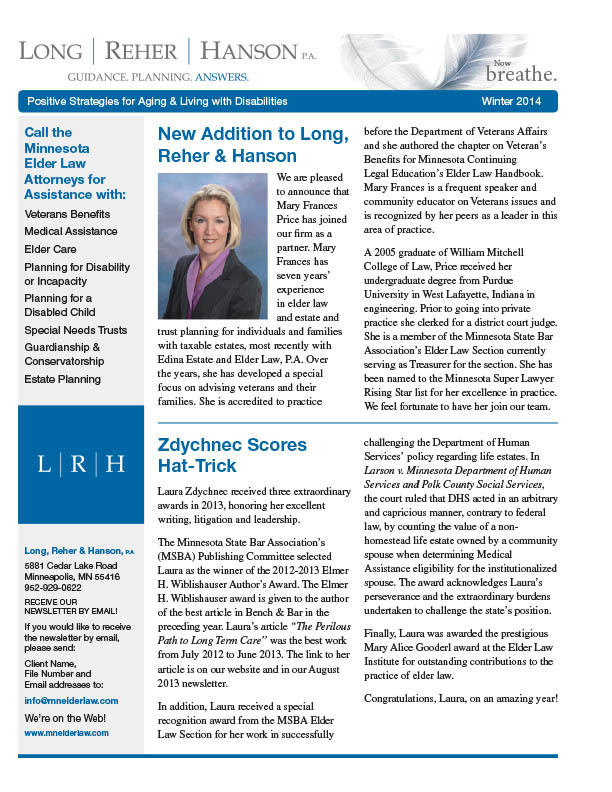 • Get Ready! Medicare Open Enrollment is October 15 – December 7! 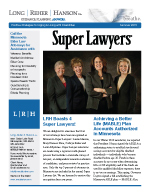 • LRH Boasts Four Super Lawyers! 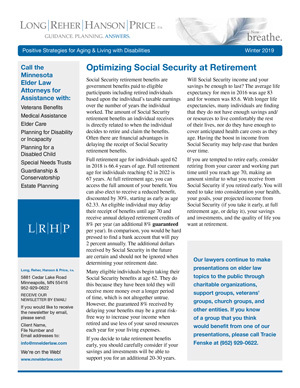 • Only One IRA Rollover Per Year! 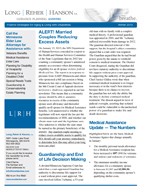 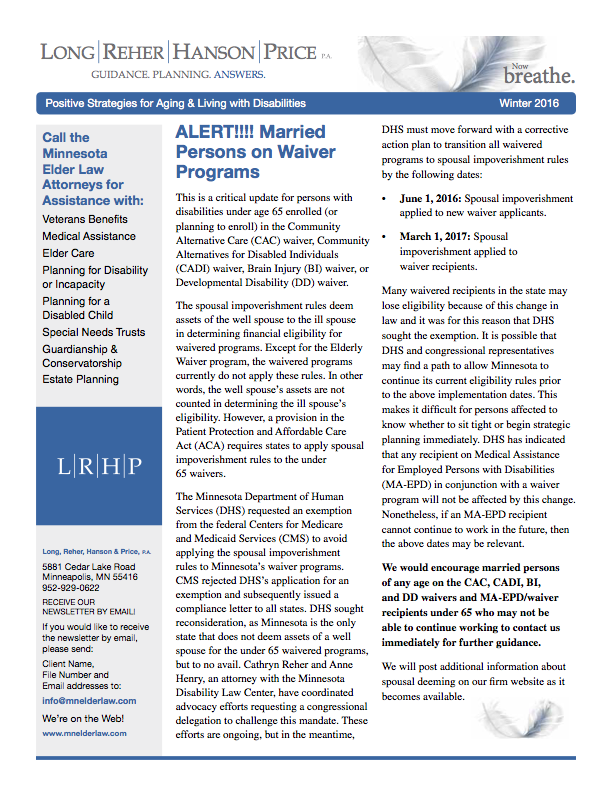 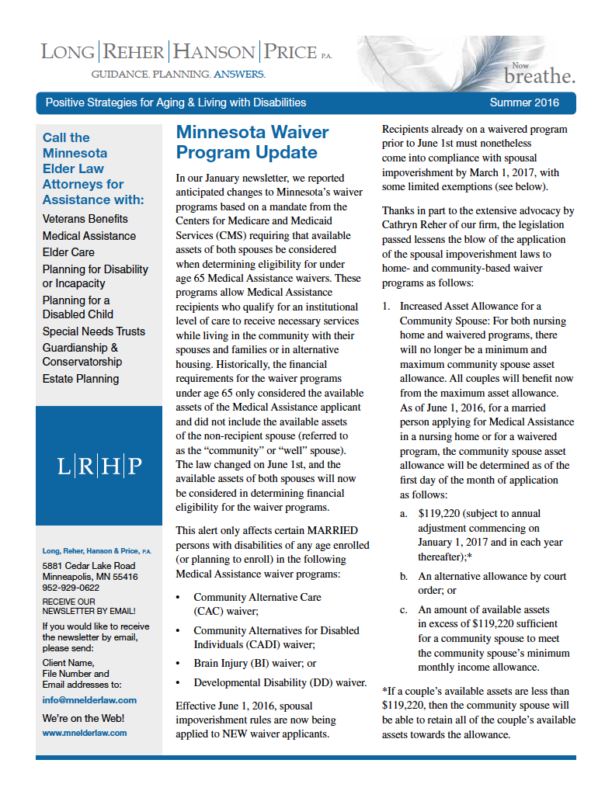 • New Nursing Facility Level of Care Criteria May Affect Your Eligibility! 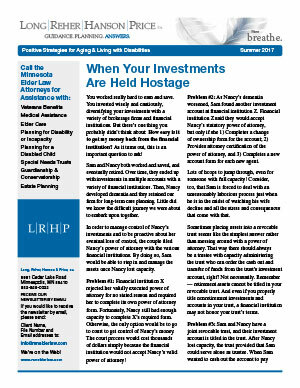 • You Know Who Your Beneficiaries Are, But Does Your Financial Institution? 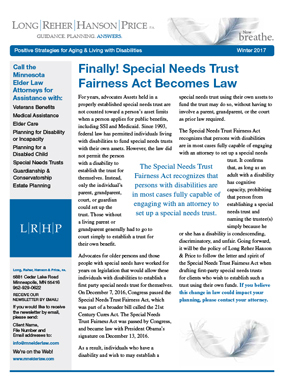 • Special Needs Trust Alert Follow-Up!